My Oprah Episode To Re-Air Today! Just a quickie to let you know that I heard from a friend that the Oprah show I was on in Nov. 2007 will re-air again today (Aug. 12). If you’d like to read about my experience and see a few photos, click here. 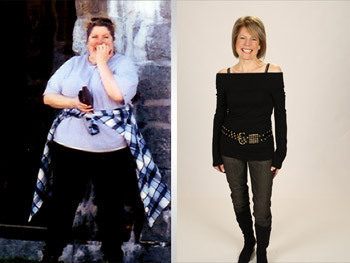 I hope you find inspiration, as I did, listening to the awesome stories of weight loss and perseverence of the folks on this show. It was quite a moment for me, but an even greater learning experience that continues to educate me two years later. This entry was posted in Uncategorized on August 12, 2010 by Lynn Haraldson. I appreciate the “heads-up.” I will definitely be tuning in to Oprah today, and I will also set the DVR. I don't think I saw it the first time around. You have an amazing story that is inspiring to so many of us. Sharing it is very generous and important. Thanks, Lynn. Omigosh, I have the DVR set!!! I am so excited for you~! I have my DVR set to record – thanks for letting us know. My middle child wants to know if you get paid for reruns – ? I told her I was pretty sure you got to keep the clothes and they paid your expenses to get there and while there – (but no $$$)? this might be the 3rd time I have seen it – but always love to see it again. Look at how smoking hot you are in that picture! I don't think I have seen that one before. Once again, you are really an inspiration! I had seen you on Oprah before I began reading your blog. Back then I was impressed with what you had accomplished. Watching it today was more exciting and meaningful because of all that you have shared here. Greetings from Austria. Spent the last two days in Munich – taking small helpings of everything and feeling good about my eating and physically feeling good. Here in Austria now at tennis/golf resort. Had lots and lots of small tastes last night from the buffet. Would probably have enjoyed the s'more more than all the little bites of desserts I tried. Curiosity killed the cat… curiosity is going to make me fat!! I can't believe it! I was watching the Oprah show last week, and saw you walk out on the stage, and DIDN'T RECOGNIZE YOU!! I thought, wow, I love her outfit. Risky and downright fun. And here I've been “blogging with you” for almost a year now. Wow.